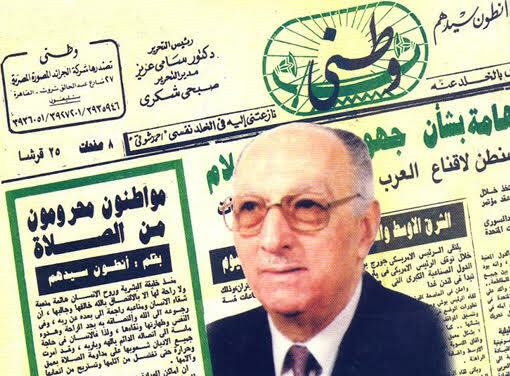 Today, 2 May, marks the 23rd anniversary of the passing away of Antoun Sidhom, founder of Watani. Mr Sidhom was a remarkable man: a faithful patriot, ardent Copt, and brilliant accountant. He founded Watani in 1958 to be a media platform for Coptic voices as the Egyptians that they are. To this day Watani follows this line, seeing its work as a mission fulfilled through faith, dedication, and respect. We lovingly remember Mr Sidhom this week, and promise to walk in his footsteps to spread the remarkable values he embodied, and hand them over to a new generation that would carry on the good work.